Before contacting me please read the faq in help or apropriate topic in help. CDCheck ONLINE! is an online repository of CDCheck related information. 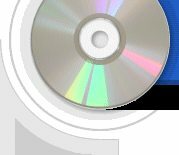 Currently it offers storage of information about CD manufacturers, CD Media types and quality of them. It also includes free license code request form. Registration with CDCheck ONLINE! is needed if you wish to use Media info synchronization! If you have forgotten your username and password enter your email address below and you will receive a mail containing your information. Please whitelist senders from domain kvipu.com beforehand.